Thinking about renting a self-storage unit? On the fence about it? Unsure if it is the best possible decision? While you should certainly put some thought into it, understand that renting a self-storage unit can actually offer quite a few benefits that work to your advantage. What benefits might you enjoy? Below, we’ll walk you through five of the most important advantages offered by storage facilities. We’ll also touch on some additional related topics that help drive home the value and utility of these units. First, we’ll touch on the topic of security. With the right storage provider, you gain both security and peace of mind that your belongings are protected while they’re in storage. What sort of security can you enjoy? There are actually several layers of protection offered here. The first is a fence and a gate. The entire property should be fenced in, which prevents unauthorised individuals from gaining access to the property. A secure gate prevents access through the entry way. As a note, make sure that the storage company provides you with PIN-coded access, so you can enter your code and get onto the property easily. The second layer of protection should be in the form of live personnel. While the facility may not be staffed 24-hours per day, there should be someone on property during most of the day and evening to keep an eye on things. Finally, there should be remote monitoring capabilities. The entire property should be monitored by CCTV cameras, and the video feed should be monitored by facility staff. Another benefit here is the additional space that you gain by moving your unneeded or unused belongings to a self-storage facility. You’ll find that there are many different unit sizes available to suit your needs. If you need to store just a few items, you’ll find compact storage lockers. However, you’ll find units sized to fit your needs, from a single bedroom home all the way up to a three-bedroom home and even larger units. This lets you free up as little or as much space in your home as you want or need. For instance, you can finally clear out that garage and use it for the purpose it was intended for. Or you can turn it into a craft room or workshop. You can move out unused furniture and turn that space into something else – think about that game room you have always wanted. On the other hand, maybe you’re expecting a new addition to the family, or maybe an adult child is having to move back home for a time. A self-storage facility lets you make room for those sorts of changes in your life. When you put your belongings into self-storage, you gain the benefit of added protection for them. We’ve already touched on security – what we’re talking about here is physical protection from the elements and other threats. With the right self-storage company, you’ll have access to both standard storage units, and climate-controlled units. Many items are just fine in non-climate-controlled units. Here, they’ll be protected from wind, rain, sleet, snow, condensation, and UV light. This is a good option for items that are not all that delicate. For belongings that are a bit more sensitive, you’ll want to consider climate-controlled storage. These units are air conditioned and heated so that they maintain a constant temperature throughout the year. That offers protection against the ravages of heat and cold, which can melt some materials, crack others, and degrade the quality of yet others. With the right storage facility, you gain the benefit of easy accessibility. 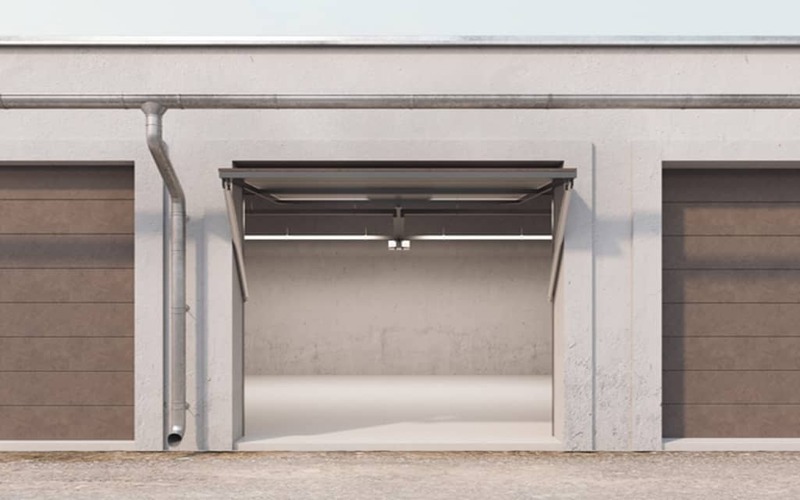 Ideally, you’ll find a storage facility that is located central to your location, allowing you to reach the property with just a short drive. Once on property, you’ll be able to get to your storage unit with ease. Just enter your PIN code to get onto the property, then find your storage unit and unlock it. In some instances, you will even find additional tools at hand to help you get your items into and out of storage, including hand trucks that are free to use, or the ability to purchase boxes, packing tape, bubble wrap, and other supplies. Finally, you’ll find the benefit of flexibility. That includes flexible access, and flexible storage space, but it also touches on your rental terms. With the right self-storage company, you are not locked into a long-term contract. If you’re ready to take your belongings out of storage, simply cancel the rental agreement and you’re done. It’s as simple as that, with no hidden fees, charges, or challenges. If you find that you need to rent a unit again shortly, simply sign back up and you can put your belongings back in storage. When you sign the rental agreement, make sure there is no cancellation fee. Some companies hide these fees in the fine print, so make sure to read the paperwork very thoroughly. Ask about anything you’re not completely clear on, as well. It’s important to note that not all self-storage companies provide you with these benefits. You’ll need to do a bit of research to make sure that you’re being charged a fair rate, that you have access to the right storage options, and that you have a simple, easy rental agreement that can be cancelled at any time or renewed when you need it to be. Check online reviews for each storage facility that you are considering. Once you’ve found a handful or reputable options, interview them to find out their policies and procedures, rates, and availability. Only then will you truly be able to make an informed decision and choose a storage unit that fits your needs and budget.